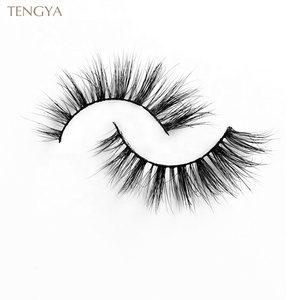 Hangzhou Tengya Science And Technology Ltd.
SJ real mink lashes are totally cruelty free, obtained by gently brushing live animals, without harming them. SJ Lashes guarantees all lashes meet International standard, which are crutely free and safe to people's eyes and skin. 4. Do you have minimum order quantity9 Yes, for our strip lashes, our minimum order is 50 pairs for each size. This 3D mink eyelashes was gently brushes and harvested Siberian mink hair by cruelty-free method. these 3D mink lashes are the softest hairs around the world. 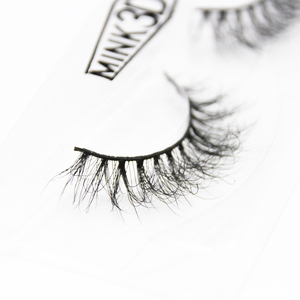 Q5.The Mink Eyelashes Can be used many times 9 Yes,it c an be used many times if they are used and removed properly . Qingzheng Tech (Qingdao) Co., Ltd.
Xi'an Chulan E-Commerce Co., Ltd. However if you choose to curl them, you can curl the lashes as if they are your own and the curl will maintain its shape for a long time. We do not suggest using mascara on the eyelashes as it will give them a less natural look and shorten use time. If you have any questions, please feel free to contact us, we will get back to you in the first time. Qingdao Beimi Beauty Co., Ltd.
1. The material: Mink 2. The lash terrier/band: cotton/clear 3. The style: High quality 3d mink hair lash 4. OEM and ODM are welcome 5. We can make custom box as client requirement. Package Custom package is available, or we can suggest package and print your logo. Shipment Term By Sear, Air or Express Payment Term T/T, Paypal, Western Union, Moneygram, alibaba assurance Delivery time Large stock, stock style number can be send out 1-3day. Best quality, Best price with short delivery time. Not only produce the existing design but also &ldquo;OEM&rdquo; for you. All of our products can meet the testing requirements in Europe and America. 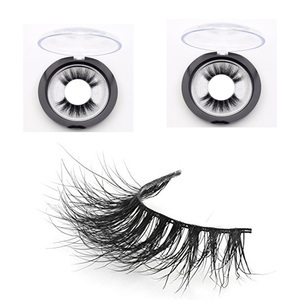 Alibaba.com offers 4,966 wispy false eyelash products. About 99% of these are false eyelashes, 1% are packaging boxes. 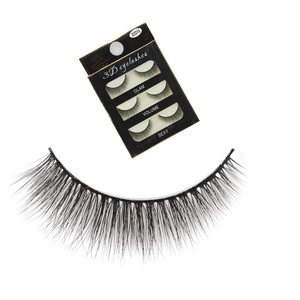 A wide variety of wispy false eyelash options are available to you, such as fur, synthetic hair, and human hair. You can also choose from free samples, paid samples. 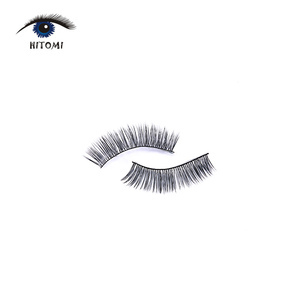 There are 4,959 wispy false eyelash suppliers, mainly located in Asia. The top supplying countries are China (Mainland), Taiwan, and Singapore, which supply 99%, 1%, and 1% of wispy false eyelash respectively. 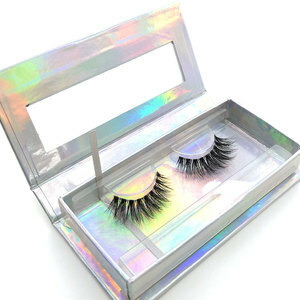 Wispy false eyelash products are most popular in North America, Western Europe, and South America. You can ensure product safety by selecting from certified suppliers, including 125 with Other, 27 with ISO9001, and 3 with GMP certification.